While working on The War Outside, a story of friendship and secrets in a World War II internment camp, I kept a photo bookmarked on my laptop and I’d look at it almost every day before I started writing. It’s a picture of a teenage girl—curled hair, high heels—wearing a corsage and a tiara and sitting in front of a heart-shaped backdrop, with the caption, “Campus Queen.” Her name is Ayako, and at the time the photo was taken, she was a prisoner. Her parents had been accused of being enemies of the United States, so they were sent to live behind barbed wire in Crystal City, Texas, along with thousands of other Japanese-American and German-American families. That photo, and dozens of others I came across, is evidence of one of the most heartbreaking themes I kept encountering during my research: the teenagers who were sent to this camp were American. And even when their country had turned against them, stolen their homes and sent them to a desert, they still wanted to have an American life. They still elected a prom queen. The students of Federal High, the American high school inside the camp, also put on plays and published a student newspaper. The young men fielded football and baseball teams. They even had cheerleaders: girls and boys in sweaters emblazoned with “F” for Federal High. Originally from the Federal High School yearbook, 1945. These photos made me think about what it means to be a prisoner. The United States government was proud of Crystal City: they made a documentary about quality of life in the camp. But how big of a life can you live behind a barbed wire fence? These photos also made me think about what it means to be an American. What it means to belong. What it means to be loyal. I tried to track down Ayako, but I couldn’t find her. There wasn’t any more information about her in any of my research books, and none of the people who shared her last name were related to her. But I still think about her all the time. How confusing her life must have been: A prom queen in an internment camp. An American punished for her parents’ birthplace. In 1944, the entire world was at war. But how do you know who the enemy is, when your country keeps saying it’s you? It’s 1944, and World War II is raging across Europe and the Pacific. 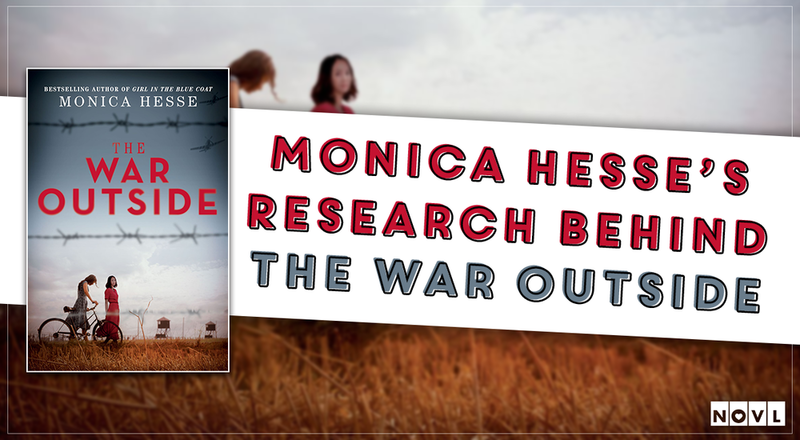 The war seemed far away from Margot in Iowa and Haruko in Colorado—until they were uprooted to dusty Texas, all because of the places their parents once called home: Germany and Japan. With everything around them falling apart, Margot and Haruko find solace in their growing, secret friendship. But in a prison the government has deemed full of spies, can they trust anyone—even each other?